The PHS Engineering Academy qualified for the 2018-2019 National PLTW Distinguished School Award! 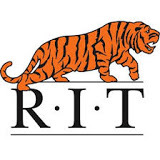 Note: All Engineering Academy and Pathway courses are dual College/University enrollment through PLTW for college credit with Rochester Institute of Technology. The foundational courses are also articulated with Palomar College. Attending Arizona State University, and accepted to Fulton School of Engineering, Barrett Honors College; Major: Bio-Medical Engineering; Scholarships Received: A full ride scholarship: A nonresident National Scholars Award based on academic performance and SAT test scores.